Disneyland Celebrates its 60th Anniversary with a Diamond Celebration! Three sensational new nighttime spectaculars will dazzle guests at the Disneyland Resort when the Diamond Celebration begins Friday, May 22, 2015. 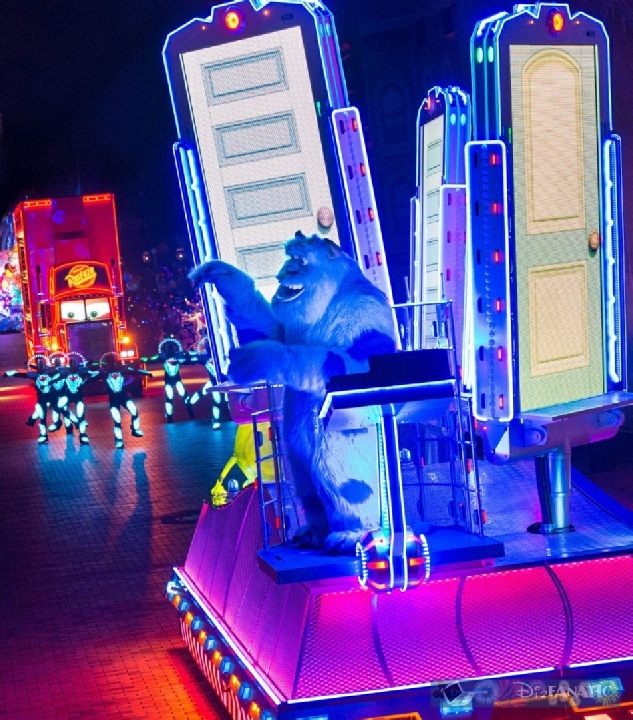 Nighttime will glitter as never before when the latest technology and immersive special effects lift the “Paint the Night” parade and “Disneyland Forever” fireworks spectacular beyond anything seen in the past at Disneyland Park. 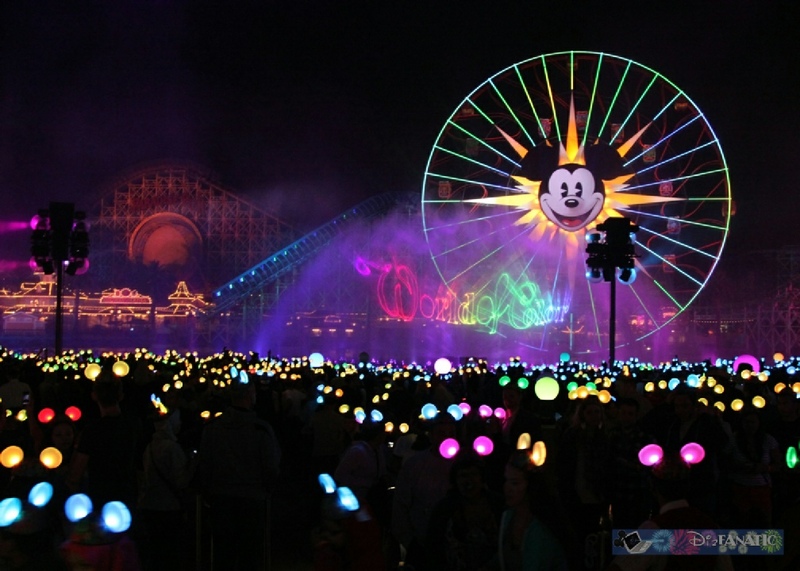 In Disney California Adventure Park, a new “World of Color” show featuring Mickey Mouse will tell the story of Walt Disney and the Happiest Place on Earth through fountains, film, animation, a stirring musical score and amazing visual surprises. The success of Disneyland Resort also has resulted in immense growth for the city of Anaheim, Calif. The resort’s workforce of 27,000 cast members makes it the largest single-site employer in Orange County. 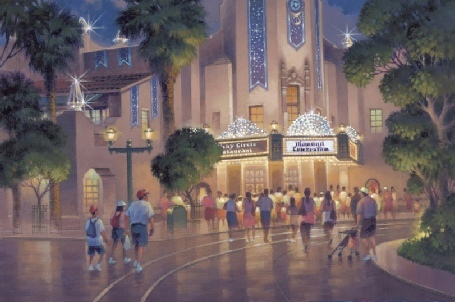 From the original Disneyland Park, the entertainment concept has expanded worldwide and is enjoyed by guests at Walt Disney World Resort in Lake Buena Vista, Fla, Tokyo Disney Resort in Japan, Disneyland Paris in France, Hong Kong Disneyland, Disney Cruise Line, Disney Vacation Club, Adventures by Disney and Aulani, a Disney Resort & Spa in Hawaii. Shanghai Disney Resort is now under construction in China. 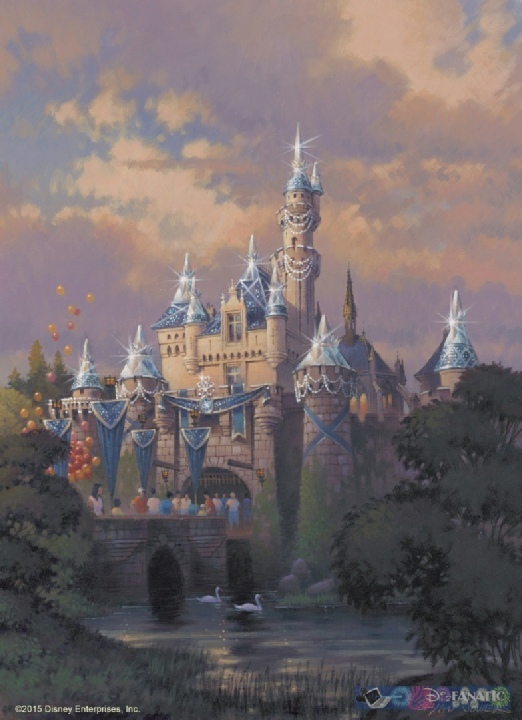 Additional information about the Disneyland Resort Diamond Celebration will be shared in the coming months. 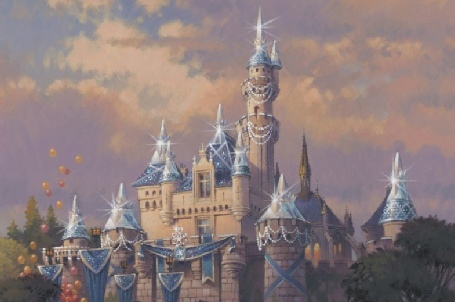 This artist's rendering shows Sleeping Beauty Castle at Disneyland park draped in dazzling diamonds to commemorate the upcoming Diamond Celebration at the Disneyland Resort. From Sleeping Beauty Castle to Carthay Circle Theatre at Disney California Adventure park, the Disneyland Resort and surrounding streets of the Anaheim Resort district will sparkle with Diamond Celebration décor and festive banners in shades of Disneyland blue. 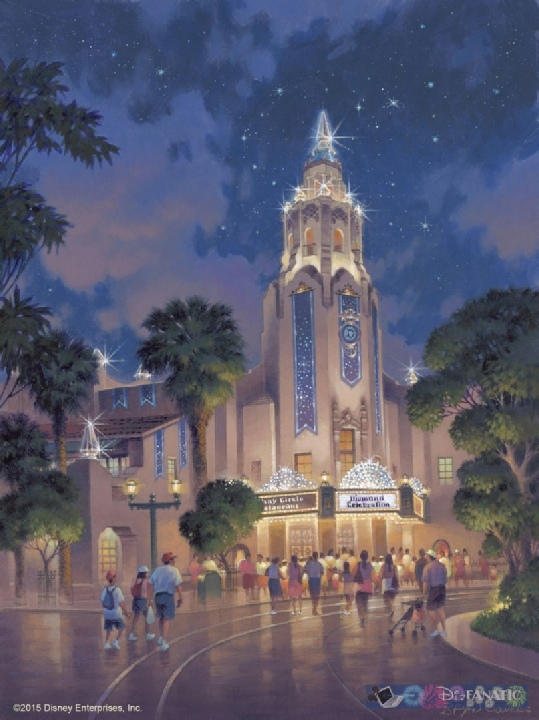 In this artist's rendering, Carthay Circle Theatre at Disney California Adventure park is adorned in diamonds to commemorate the Diamond Celebration at the Disneyland Resort. From Sleeping Beauty Castle to Carthay Circle Theatre, the Disneyland Resort and surrounding streets of the Anaheim Resort district will sparkle with Diamond Celebration dcor and festive banners in shades of Disneyland blue. 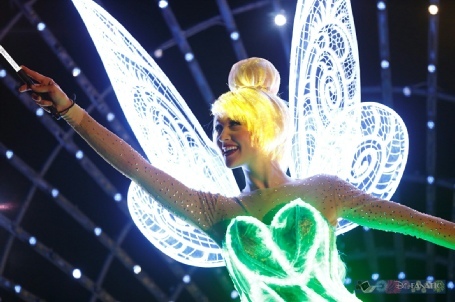 Tinker Bell gathers all of her pixie dust to paint the night in dazzling Disney dreams in this all-new new after-dark spectacular at Disneyland park inspired by the iconic 'Main Street Electrical Parade.' 'Paint the Night' is full of vibrant color and more than 1.5 million, brilliant LED lights and features special effects, unforgettable music, and energetic performances that bring beloved Disney stories to life. The popular, nighttime spectacular 'World of Color' at Disney California Adventure park continues with the new 'World of Color - Celebrate!' This fun-filled presentation will take guests on an inspirational journey celebrating Walt Disney and his dream of Disneyland park. This story will be brought to life with fountains, animation and live-action film, lasers, special effects and a stirring musical score. 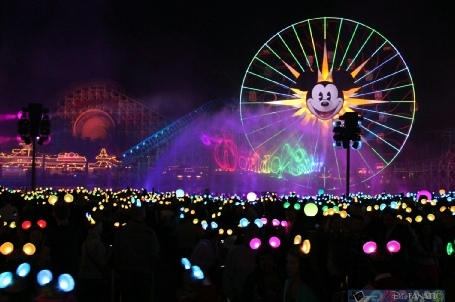 Celebrating 60 years of magic, 'World of Color - Celebrate!' 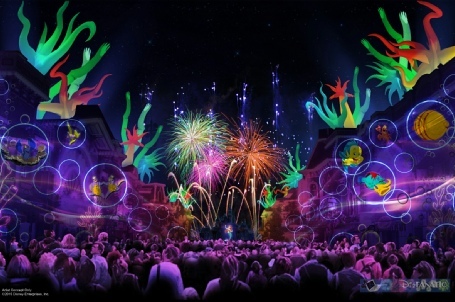 is one of three new, nighttime spectaculars that will immerse guests in the worlds of Disney stories like never before. 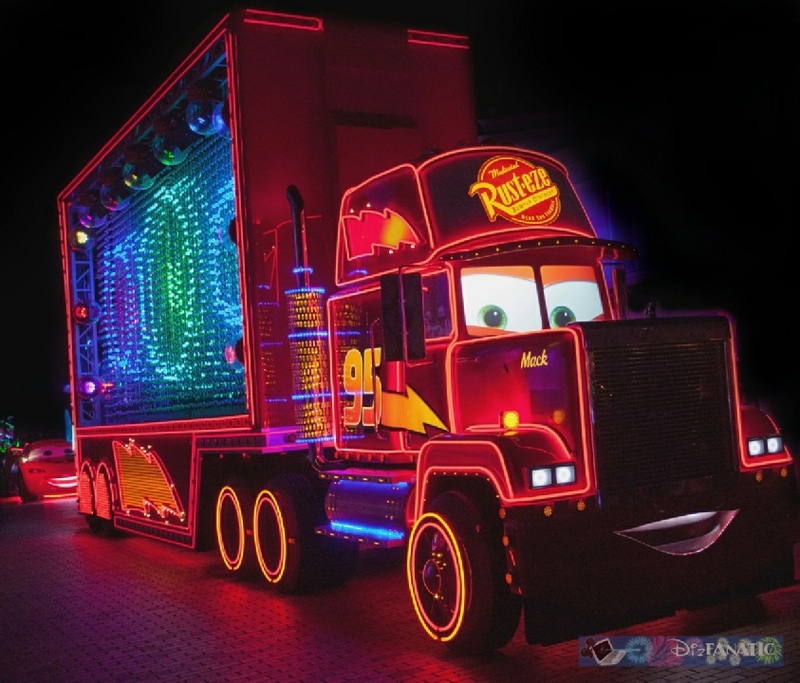 Mack from the Disney●Pixar 'Cars' films is one of the characters featured in this all-new new after-dark spectacular at Disneyland park inspired by the iconic 'Main Street Electrical Parade.' 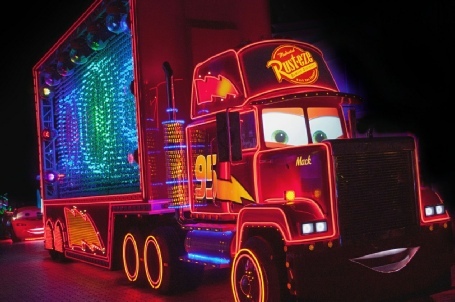 'Paint the Night' is full of vibrant color and more than 1.5 million, brilliant LED lights and features special effects, unforgettable music, and energetic performances that bring beloved Disney and Disney●Pixar stories to life. 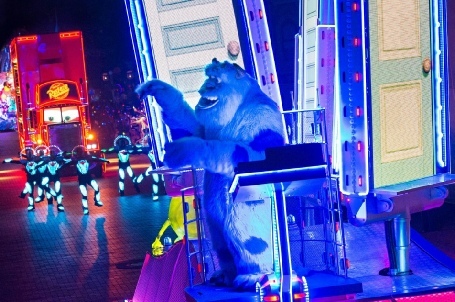 Sulley from 'Monsters, Inc.' brings guests into the world of Monstropolis in this all-new new after-dark spectacular at Disneyland park inspired by the iconic 'Main Street Electrical Parade.' 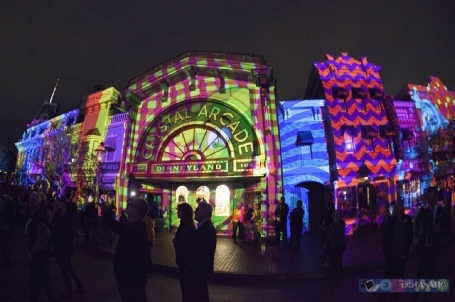 'Paint the Night' is full of vibrant color and more than 1.5 million, brilliant LED lights and features special effects, unforgettable music, and energetic performances that bring beloved Disney and Disney●Pixar stories to life. Media and guests gather on Main Street, U.S.A. at Disneyland park on Wednesday, January 28, to view a demonstration of new projection technology planned for ‘Disneyland Forever,’ a new fireworks spectacular transporting guests into the worlds of beloved Disney and Disney-Pixar films through traditional pyrotechnics, innovative projection mapping technology and surprising special effects. 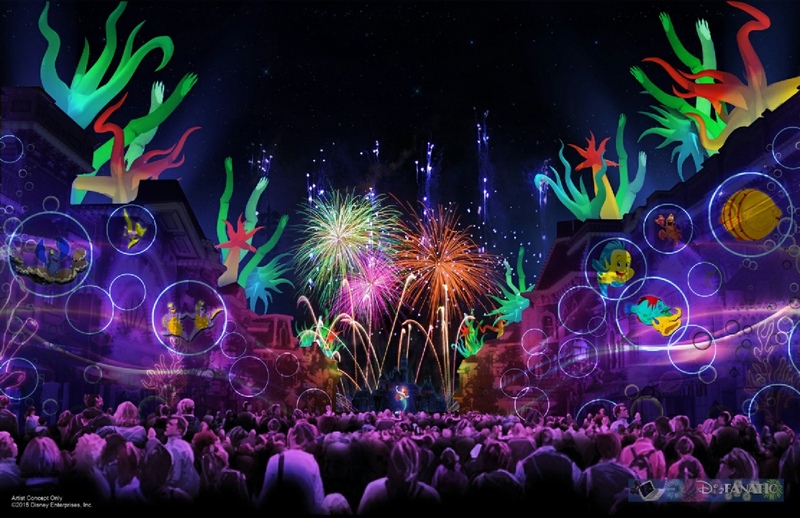 In this artist's rendering, Ariel and her underwater friends from 'The Little Mermaid' bring Main Street, U.S.A. at Disneyland park 'under the sea' with projections and pyrotechnics in 'Disneyland Forever,' a new fireworks spectacular transporting guests into the worlds of beloved Disney and Disney●Pixar films through traditional pyrotechnics, innovative projection mapping technology and surprising special effects.